DERBY 17 SC is a systemic and post emergence herbicide containing Florasulam + Flumetsulam as the active ingredient. 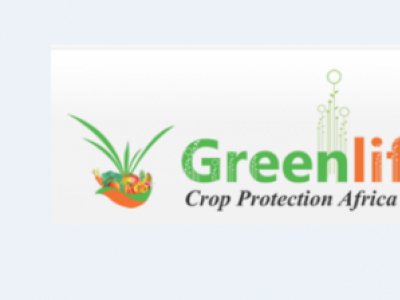 It is used for the control of important broad leaved weeds such as Emex in cereals. It is applied at the rate of 50-80mls/ha. 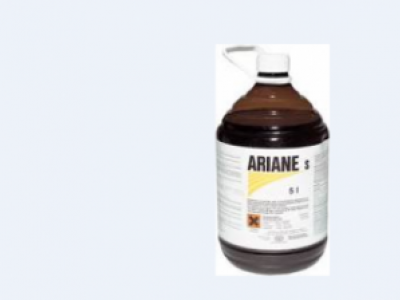 ARIANE is an agricultural herbicide containing Fluroxypyr+Clopyralid+MCPA as the active ingredients. 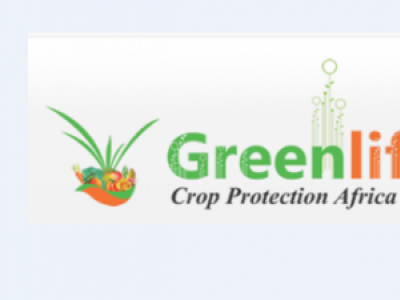 It is used for the control of broad leaved weeds in cereals like resistant amiranthus and malva. It is applied at the rate of 1.25-1.75l/ha. 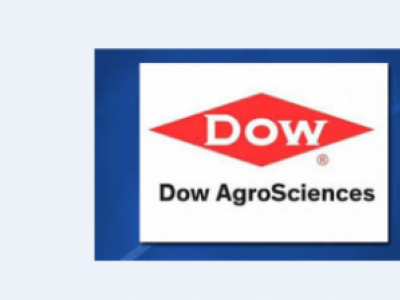 DIGESTER SUPPER 690 EW is a herbicide containing Fenoxaprop-p-ethyl 690g/kg as the active ingredient. It is used against annual and perennial grass in wheat. 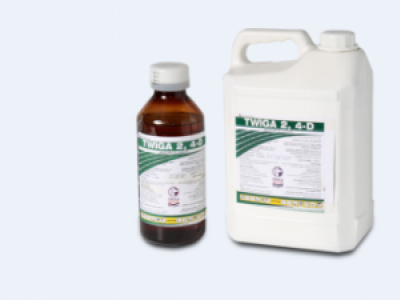 It is applied at the rate of 50ml/20L of water or at 0.75-1l/ha. COMMANDER 240EC is a post emergence herbicide containing Oxyfluorfen 240g/l used against broad leaved weeds in cabbage, tomatoes, baby corn,french beans and onions.It is applied as a foliar spray at the rate of 25-50ml/20L of water or at 0-5-1l/ha. 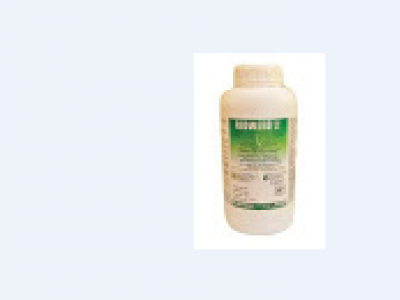 Ridweed 480SL is a non-selective post-emergence foliar herbicide for the control of annual, perennial grasses and broad-leaved weeds in various crops under reduced/zero tillage, in forest, aquatic and industrial weed control. 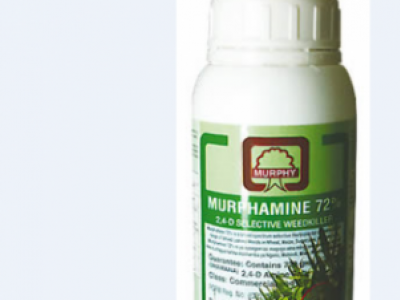 Murphamine 72% EC is a herbicide used to control broad leaved weeds in cereals and sugarcane and fungal diseases like early blight, late blight and downy mildew in potatoes, tomatoes, vegetables, beans and cucumber. 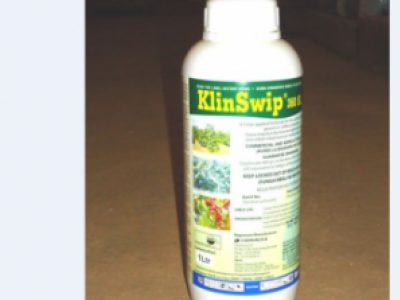 Klinswip 360SL is a non-selective herbicide used to control broad leaved and grass weeds on any field crop. It contains Glyphosate 360g/l as the active ingredient applied at the rate of 200ml/20L of water when the weeds have 1-4 leaves. LINAGAN 50WP is a herbicide with active ingredient Linuron 500g/Kg for the control of numerous annual broad- leaved and grass weeds in irrigated maize.